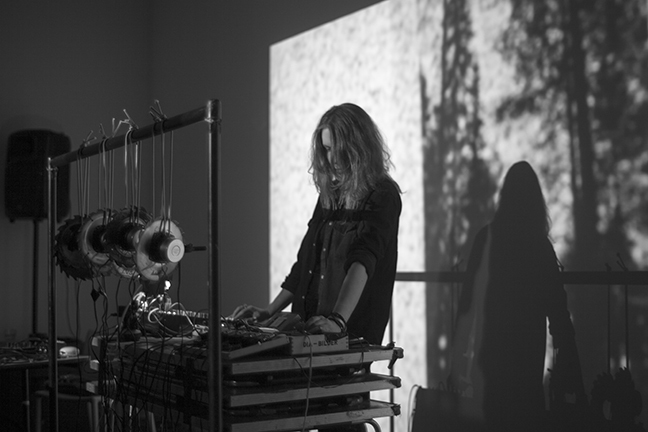 Louise Magnusson is a sound artist and composer originally from the north of Sweden. She is also an active member of the Gothenburg sound art scene. Magnusson works with the idea of ‘subjective signaling systems’ as her main philosophy, a philosophy that influences her range of built instruments, installations and her compositions. Exploring what sound, thought and the tactile have in common, and their relationship to the experience of the world, is at the center of her artistry. Magnusson develops instruments that can both be controlled and have a life of their own. Her performances are shaped by her underpinning notion that speech may come before structure in an intuitive, imagined language. She has also worked with both film and theatre and applied her ideas in collaboration with other musicians.